The software update improves the AT&T branded application launch process, an EAS/Office 365 security pop-up fix, and an update to all Google branded applications. Hey, do you still have an original AT&T Galaxy S II? Really? You should probably work on an upgrade. However, on the off chance you haven't already custom-ROM'd the ever-living-Cyanogen out of it, Samsung's rolling out an update for it, as we've heard at XDA, and had confirmed by Samsung's own support website. 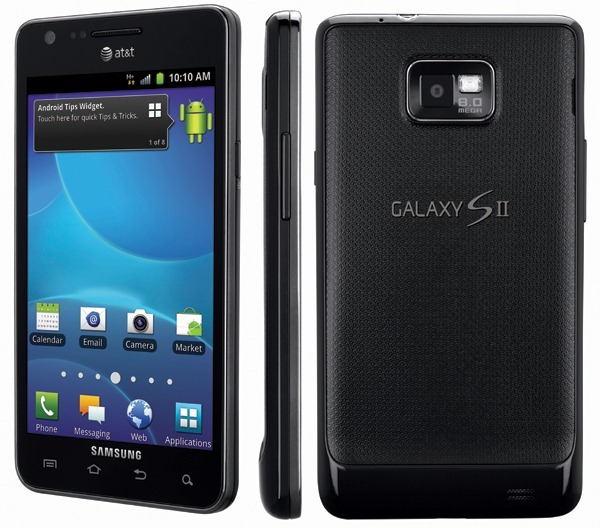 The CyanogenMod team has done it again, bringing their CM9 build for AT&T's variant of the Samsung Galaxy SII to nightly status, and releasing the build to the CyanogenMod mirror network just yesterday. The build actually released just before news that a seemingly official (and fully TouchWiz-ed) build of ICS had leaked for AT&T's SII, so SII owners have a couple of great options to satisfy their Ice Cream Sandwich cravings.